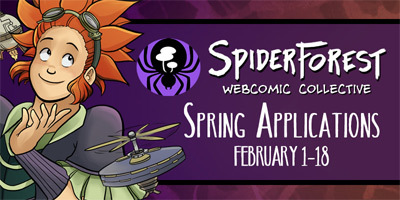 If you make a webcomic (or just want some other rad comics to read), you should stop by the SpiderForest Webcomic Collective community! Not only do we have a great forum and Discord, but we're accepting applications through February 18th! Take a look!